Raising children is hard enough on the best of days. As they grow up and start to get a mind of their own (what they can think for themselves now??) the arguing starts. Although I don’t remember arguing with my parents as much as my children argue with me, it seems it is the sign of the times. I am sure I did, but I also knew that when my parents said ‘no’ or ‘go clean your room’ we seemed to just do it. Because they were the parents. When asked ‘why’ when the answer is no, I often have used the good old fashioned, ‘because I said so’. This was old when I was a kid, so I am feeling like it is old now too. Or I was until I attended the Dad2.0 conference in Washington D.C in February. I was there as wing woman with Julia Rosien and Restonic Mattress ,who was one of the sponsors. 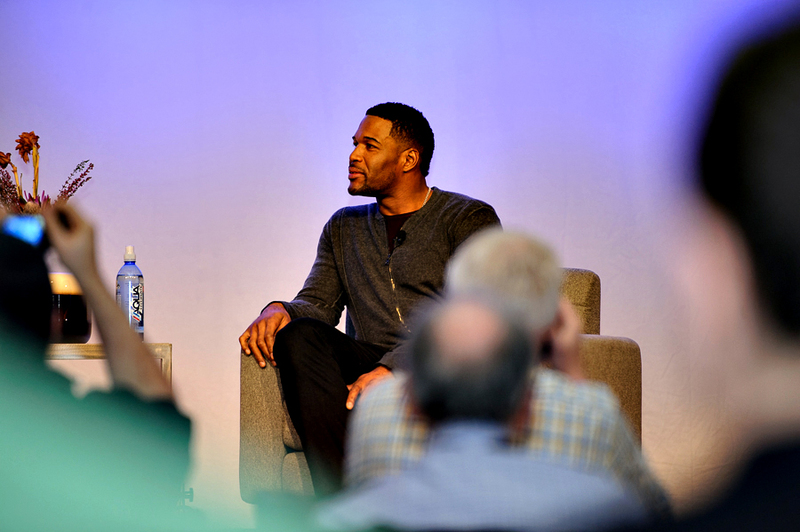 On the second full day of the conference Michael Strahan was there doing a Q&A that mostly talked about healthy living and waking up happy. One of the questions asked by the audience was, “How to you get your kids to stop eating junk food?” Michael’s response has stayed with me since February and has changed the way I answer my own kids when they don’t want to do something or I just say ‘no’. Michael’s response was “Just say no.” and then, very animatedly “Because you are the Parent”!! Brilliant! Why should we even be questioning this? Have we come so far into a different world that we have grown up with that our own kids feel they have a choice in each and every thing? I will be the first to admit that sometimes just letting them do whatever, eat whatever, wear whatever for the sake of not arguing seems like the easier way out. But since I have tacked on, “Because I am the Parent!” when my children as ‘why’ or ‘why not’ my life has become increasingly easier. They have nothing to say to that because it is true. It ends the argument right there. They may still ask for clarification on why I said no, but I don’t always give them more than that. I shouldn’t have to because…. wait for it…. I am the Parent!